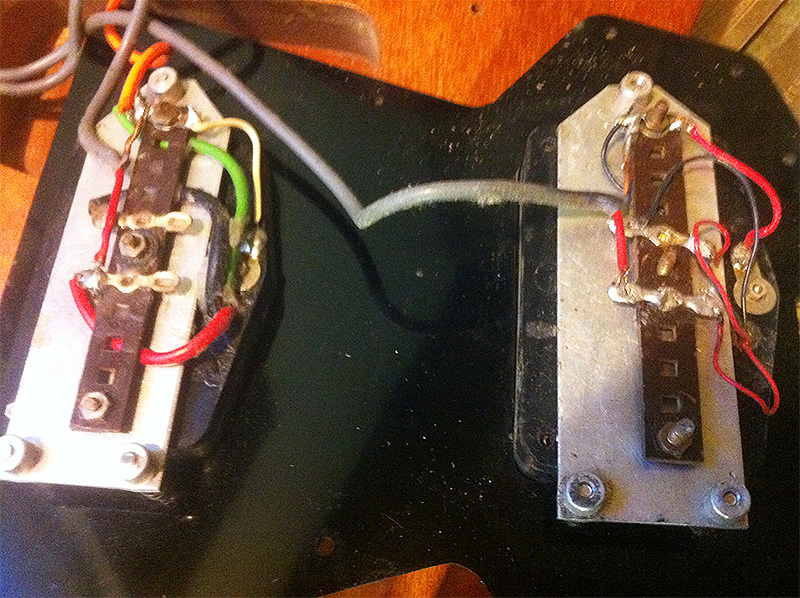 This 74/75 Burns Flyte came to me requiring quite an extensive setup. 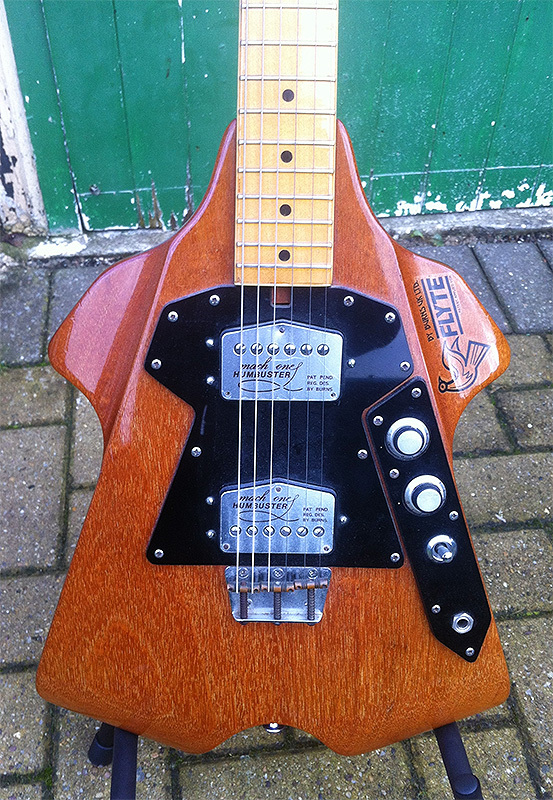 Burns UK guitars were not made in London as many believe, but instead were manufactured close to Newcastle upon Tyne in Jim Burns’ native north east. 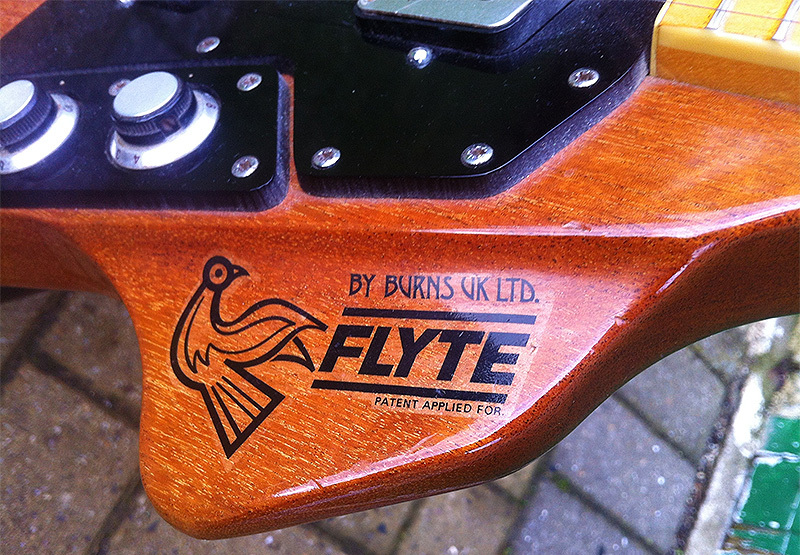 Out of all the models Burns UK produced, The Flyte, which was originally to be named the Concorde, proved the most popular. 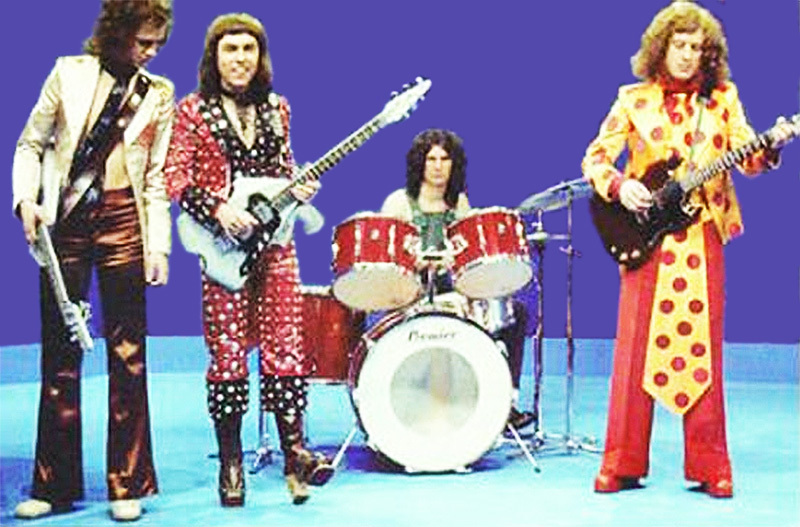 Glam rock performers of the time, such as Dave Hill from Slade and Marc Bolan were notable Flyte players. 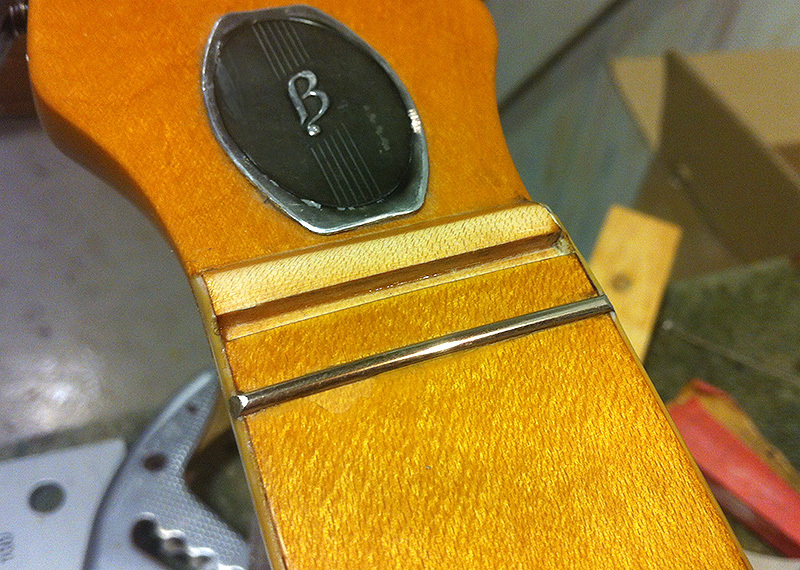 New zero nut fitted, ready for a full fret dress. Inside the p/up cavities. 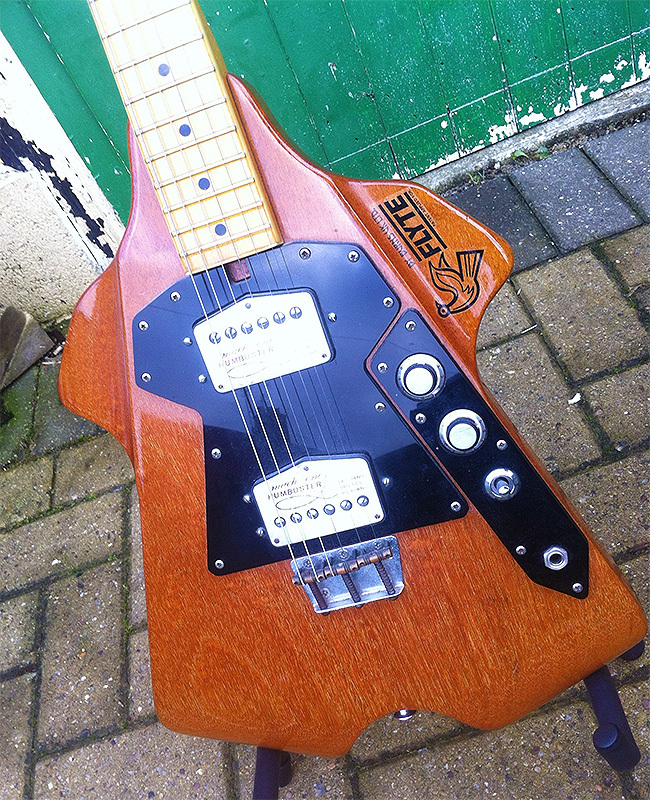 This is a nice light weight one piece mahogany body. Hi Huw, interesting. Can you send me some photos of it ? I have a Burns Flyte. It’s a one off. I met him when I was in my early teens and he built me a custom version. His factory was in South Shields very near the house he lived in. I still have the guitar. 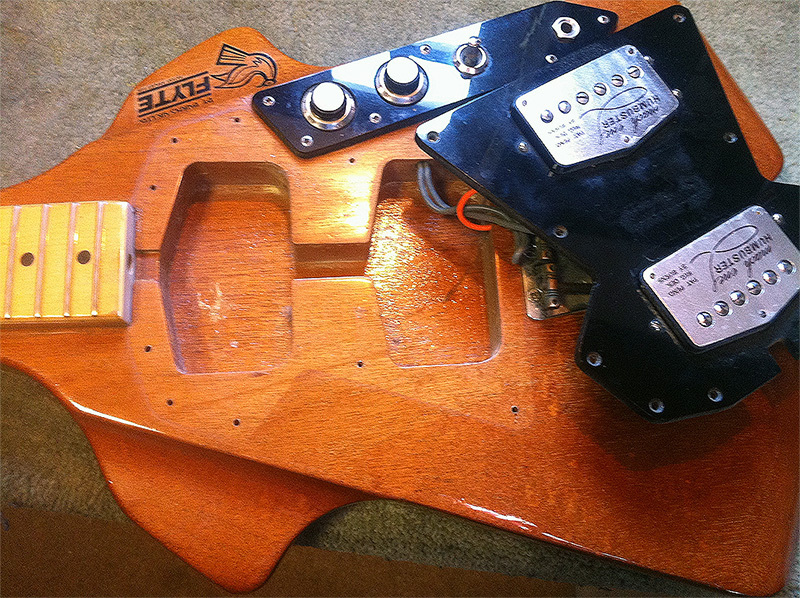 I’ve had many great stratocasters and Telecasters since and sadly the Flyte doesn’t compare- but looks great. Thanks for the interesting comment Joe. 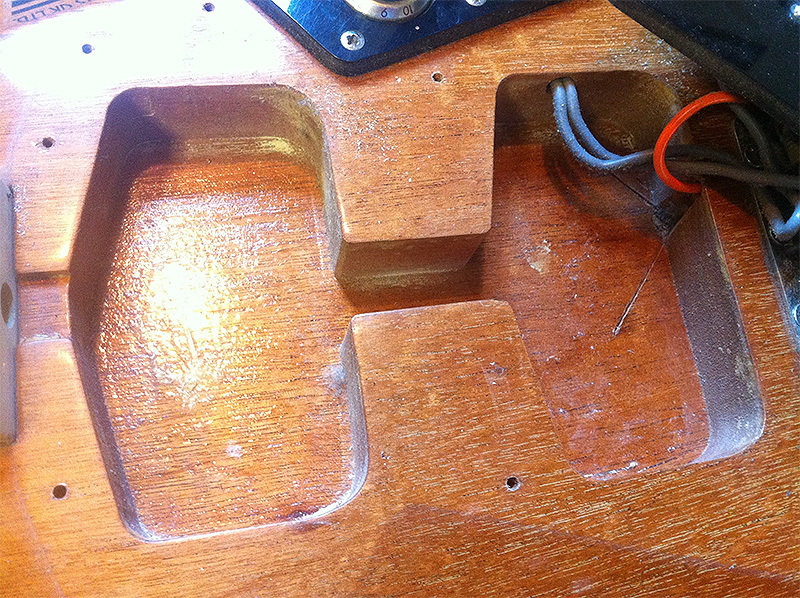 What’s the problem you have with your Flyte, have you had it set-up ? My daughter found a Flyte Concord in her loft, she is interested in selling it. 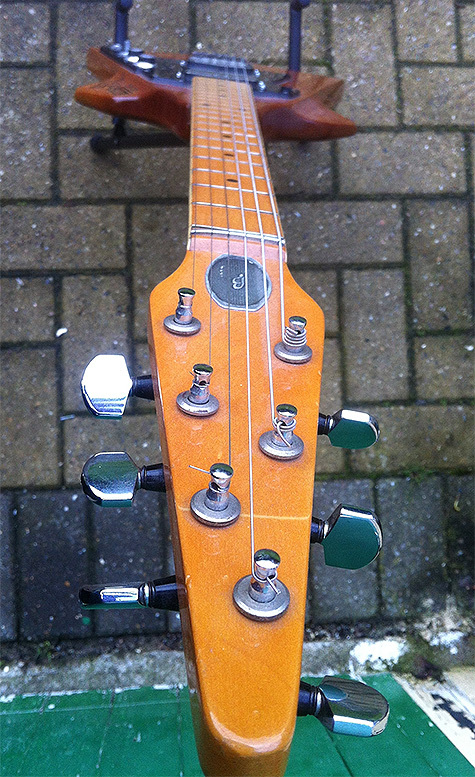 Hello Trish – I just came across your note regarding selling the Flyte guitar your daughter has found in the loft. You can email me on john.fannon@yahoo.co.uk or call/text 07956113600. I look forward to hearing from you.